It’s common these days to hear the negative effects that salt can have on the body, causing people to cut down on their daily salt intake! But you know what? The right kind of salt is so important in our diet! More than 80% of the salt most people consume is from processed foods. The salt in these types of foods can have adverse affects on your health due to the high sodium content, as oppose to natural salts, which are low in sodium. Unfortunately, just cutting out these processed foods doesn’t eliminate the problem though. What type of salt is sitting on the dining table or in the kitchen at home? Is it a-salt-ing your body (pun intended!)? Table salt, compared to natural salt, can be quite damaging to your body. These processed salts contain 98% sodium chloride compared to the lower 84% in natural salts. The everyday table salt is processed in such a way that the chemical structure in the salt changes and also contains harmful, man-made chemicals such as ferrocyanide and aluminosilicate (which constitute the remaining 2% of the salt). 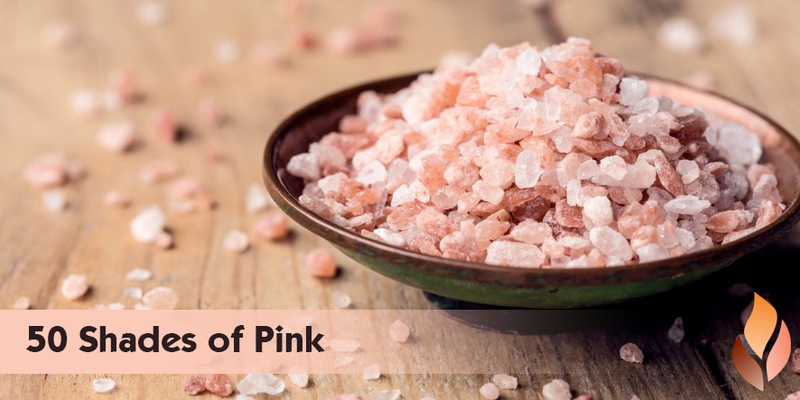 However, the remaining 16% of natural salt contains vitamins and minerals that help and heal the body. Want to get some 50 shades of pink into your life? Click here!